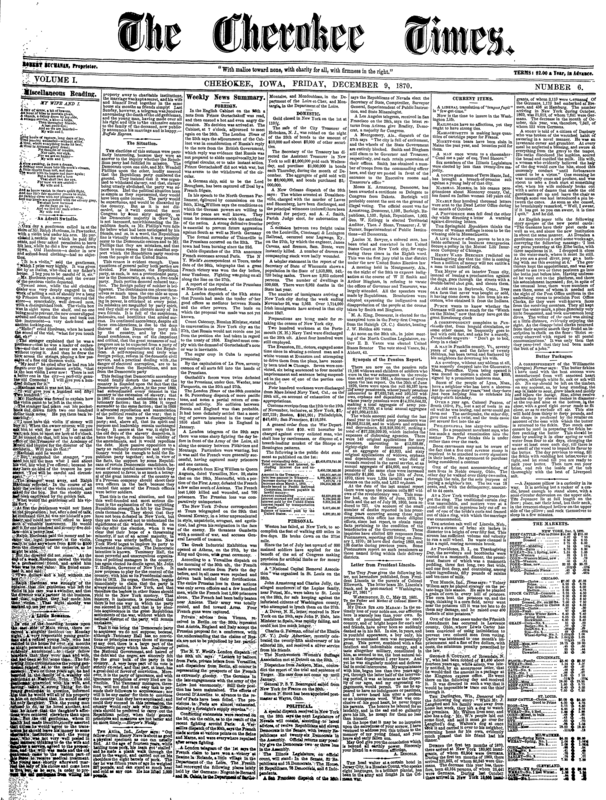 Experience "History As It Happened" in pages printed nearly 150 years ago. What will YOU discover in our archive? 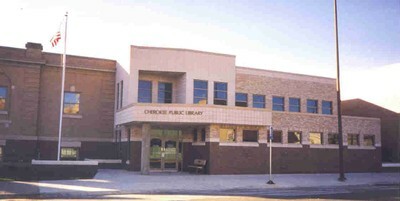 The Cherokee Public Library was established in 1886 by a group of twelve women and officially opened its doors in 1898. In January of 1903, the City received confirmation of a $10,000 grant from the Andrew Carnegie Foundation with an additional $2,000 being granted the next year. The building was dedicated in April of 1905 and still houses the library. The interior has been remodeled, but the facade is original, allowing the library to be placed on the National Register of Historic Sites in 1986. A two floor addition to the rear of the building was completed in October, 1998. An interesting feature of the addition is the enclosure of the original "bowstring" west wall as an interior wall. The library has changed in the one hundred years since it was established to reflect "modern" things such as computers, but it remains a focal point for the community it serves.